I met a lady by chance in Buffalo, who told me about a pumpkin-sage alfredo sauce she had made the evening before, with pumpkins from her garden. Swoon! A savory pumpkin dish that I hadn’t yet fathomed. A quick troll on the internet turned up a few recipes that I adapted to my own pantry and refrigerator stock. Go for it! 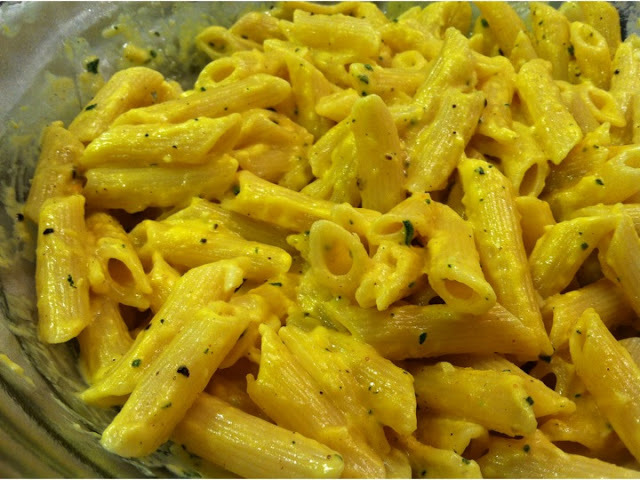 Bring a pot of water (with a pinch of salt) to boil and cook the pasta as directed on the box, or until it is al dente. 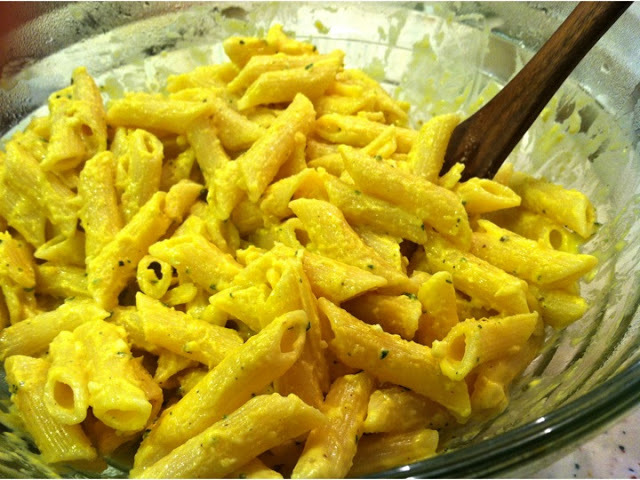 Drain the pasta and mix with a dash of olive oil or butter to keep it from sticking while you prepare the sauce. 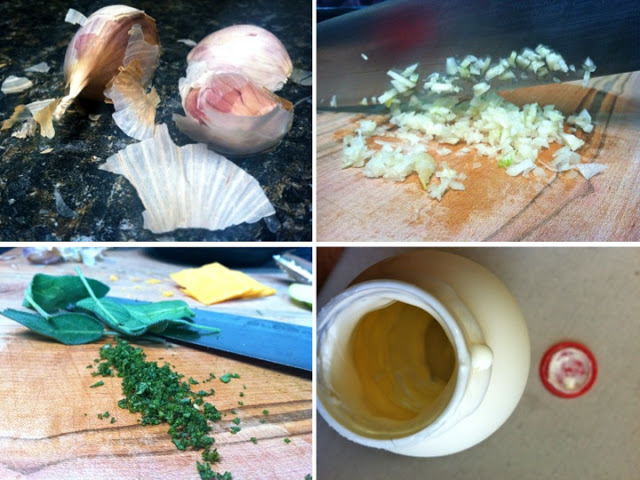 Turn the heat down to medium-low and add the garlic, sauteing until the garlic just begins to turn golden brown. Add the cream and pumpkin puree, and stir well. Add 1/4 cup of pasta water and stir again. This will help add starch to thicken your sauce. Simmer the sauce for about 7 minutes. 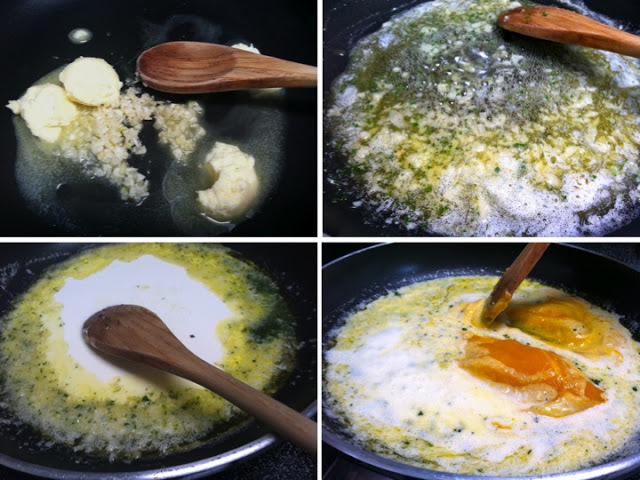 If the sauce still isn't creamy or thick enough, sprinkle in 1 tablespoon of flour and mix thoroughly. 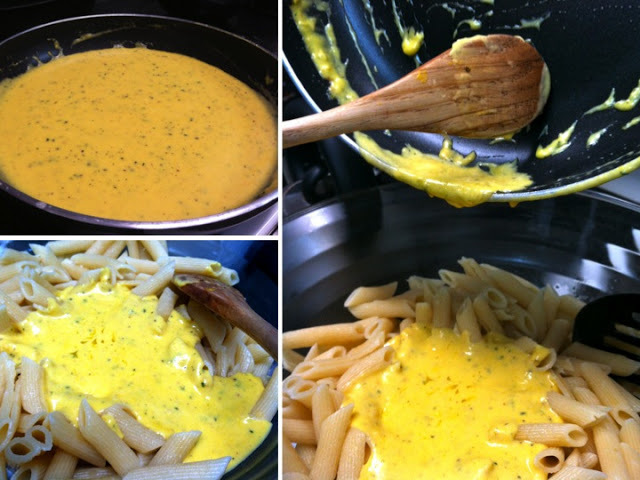 If the sauce is too thick, add more pasta water. Add the cooked pasta to the pan and toss in the sauce. Add the parmesan, salt and pepper and mix thoroughly. Serve and garnish with the crispy sage leaves!